Recently I had the need to go to one of my banks that holds my business account. I had made an error and needed the bank to assist me with correcting it. I went to one branch that happened to be close to another bank that I had some personal transactions with. Immediately upon entering the bank, I made note of how they were responding to the diversity of their clients. Several of the tellers and the displays were all in Spanish and they even had Spanish newspapers displayed. Several of the ads on the wall were also in Spanish. As a diversity instructor, I was impressed. This home town bank which my husband and I had accounts with for almost thirty years had changed. I put my name on the list to see a banking representative. It took almost thirty minutes before someone came to see me. What Would You Expect of a Relationship Manager? Several times I glanced at the two chairs (doctor’s office style) sitting inconspicuously in the corner next to the entry way. I noticed how each representative worked in an open space desk environment. I could overhear most of what others preceding me were discussing, including phone numbers etc. “He will be guaranteeing the loan,” an Asian lady said of the older gentleman who sat next to her barely speaking. “$11,000.” I was distracted by another representative informing his customer that any charge would send a donation to their charity. “The March of Dimes,” said the lady. Finally, a professional young lady came to greet me and took me to her desk. I explained my situation, and she listened attentively, but then commented that it was not their error so she could not help. She did agree to speak to her manager who also agreed that they could not be of any help to me. Her title was relationship manager. I retorted, “This is what you call a relationship?” “I’ll make that deposit for you,” she said. “Never mind,” I said disappointingly, and walked out. I contemplated closing my account right then, but with a merchant account tied to it and my government CCR, it would take some effort. Since this bank brands its self as being, “our home town bank,” I decided to go to the one nearest my home. I walked in and stood at the counter as I’d done before. The difference was that someone immediately left from behind a counter and came to my assistance. I glanced at the chairs behind me which were carefully and tastefully upholstered. A very friendly young lady took me into a closed office and asked how she could help me. I explained my situation and without hesitation, she helped me. I made my deposit and upon exiting, explained to her that her service saved my account with them. I’d made up in my mind before entering the bank that depending on the service or lack of it that I got, would determine if I stayed with the bank. She gave me her card, thanked me for being a customer, and commented that if I needed anything to just call her. I left feeling like a valued customer. 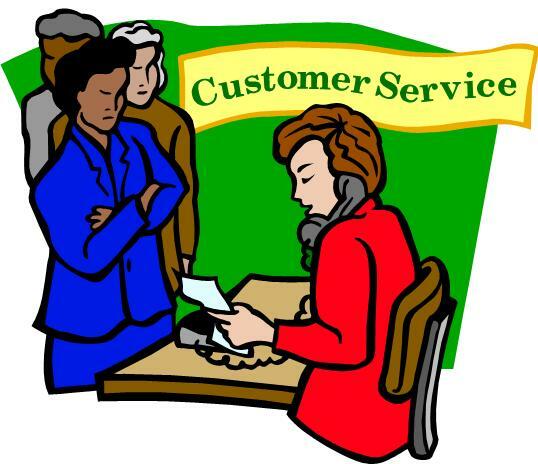 Whatever business you are in, remember, the “customer is the REASON you are in business. So, do what you must to make them feel valued if you want to keep them. ← The Energy of an Oprah Possibility.